I gave Nature’s Bounty Probiotic Gummies 2.5 out of 5 stars because it’s about average as far as probiotics go. It has some things I like and things I don’t like. I like that the gummies taste good! They aren’t super hard like some other probiotic gummies are. Each bottle has an assortment of pineapple, raspberry, and orange flavored gummies. They remind me of fruit snacks. The directions say for adults to take 4 gummies daily, with or without a meal. This probiotic has 4 billion cells, which is better than most gummies I’ve seen. They are also convenient because you don’t need water to take them and they don’t have to be refrigerated. This means you can throw the bottle pretty much anywhere and be good to go like a cabinet, bag, or suitcase. It’s also free of gluten, wheat, soy, lactose, and milk. In addition, it doesn’t have any artificial sweeteners, flavors, or GMOs. This probiotic uses just one strain, Bacillus coagulans, which is known to cause side effects. I personally had some belly pain and bloating while taking this probiotic. With just one strain, it’s just not very diverse. An ideal daily probiotic will have multiple solid strains. It contains a few allergens such as corn, gelatin, and coconut. The cells are only guaranteed at the time of manufacture and it’s also incredibly expensive. A $25 bottle only lasts you 15 days. I don’t like running out of probiotics half way through the month, so this is a pain. Even though it’s a gummy, this probiotic isn’t meant for children. Overall, it has some good qualities but also ones I’m not a fan of, so I gave this probiotic 2.5 out of 5 stars. Nature’s Bounty Probiotic Gummies has 4 billion cells per serving (4 gummies) and comes in 1 probiotic strain. The particular strain used is Bacillus coagulans (Unique IS-2). Studies show that this strain may help with common digestive problems, Irritable Bowel Syndrome (IBS), inflammatory bowel disease (IBD, Crohn’s disease, ulcerative colitis), and with preventing respiratory infections. It may also help prevent diarrhea, including traveler’s diarrhea, viral diarrhea in children, and diarrhea caused by antibiotics. 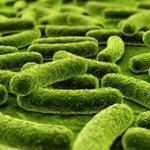 Other studies show it may aid in balancing out the bacteria levels in the body. On the other hand, I’m just not a huge fan of Bacillus coagulans. It’s been known to create spores in the body. These spores may lead to uncomfortable side effects like belly pain, bloating, diarrhea, and gas. All of these are the side effects we’re trying to prevent by taking probiotics, so it can be counterproductive sometimes. Nature’s Bounty Probiotic Gummies has a few potential allergy concerns. It contains corn, gelatin, and coconut. 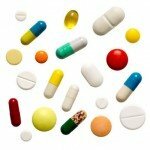 If you’re sensitive or allergic to these, just be cautious or opt for another supplement. It’s free of many other allergens though, which is great. The gummies contain NO milk, lactose, soy, wheat, gluten, yeast, or fish. As a perk, it’s also non-GMO and doesn’t have any artificial flavors or sweeteners. The other ingredients include: Grape Juice Concentrate, Glucose Syrup, Sugar, Corn Starch, Gelatin, Invert Sugar, Sodium Citrate, Citric Acid, Natural Flavors, Colors (Turmeric Extract, Carmine, Annatto), and Fractionated Coconut Oil (Contains Carnauba Wax). For 60 gummies, it costs $24.99 and lasts you 15 days. Since the daily dose is 4 gummies, it works out to be $1.66 per day. It’s also unfortunate that almost $25 worth of probiotics would only last half a month. I don’t think it’s a good value for the price. It’s just too costly and doesn’t last that long. 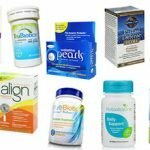 I noticed some belly pain and bloating when taking this probiotic. For some reason, I have a tendency to see side effects when I take probiotic gummies. This could be for a few reasons like not being as allergy friendly or using particular strains that are known to cause side effects. In this case, the gummies use Bacillus coagulans, which is a strain that I usually have some bloating with. It wasn’t horrible and it went away fairly quickly. If you’re worried about side effects, start lower with 1-2 gummies daily and increase to 3-4 after a few days. I couldn’t find a guarantee on the Nature’s Bounty website. 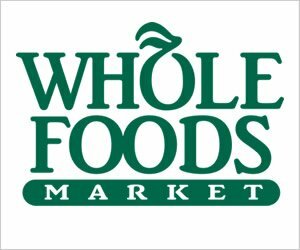 However, this product is available through many retailers like Amazon, Walmart, and Walgreens. Usually these retailers have some sort or guarantee in place or at least a return/refund policy. 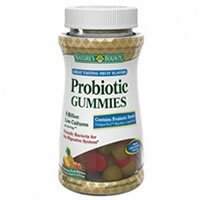 To buy Nature’s Bounty Probiotic Gummies, click here.